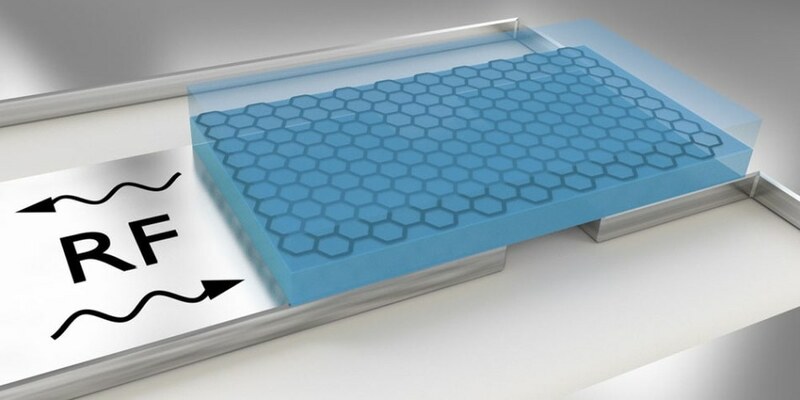 A new method for characterizing graphene’s properties without the need for applying disruptive electrical contacts has been developed by Scientists. This new method allows Scientists to analyze both the quantum capacitance and resistance of graphene and other two-dimensional materials. The findings have been reported in the journal Physical Review Applied by Researchers from the Swiss Nanoscience Institute and the University of Basel’s Department of Physics. Graphene is made up of a single layer of carbon atoms. It is harder than diamond, stronger than steel, transparent and also flexible. It is also a significantly better conductor of electricity when compared to copper. It was in 2004 that graphene was first isolated and since then Scientists from all over the world have been researching the properties of graphene and the possible applications for the ultrathin material. Despite the existence of other two-dimensional materials with fields of application that are similarly promising, a lot less research has been conducted on their electronic structures. Generally, electrical contacts are used to characterize the electronic properties of graphene and various other two-dimensional materials. However, these are capable of bringing about major changes in the properties of the materials. A new method for investigating these properties without applying contacts has now been developed by Professor Christian Schönenberger’s team from the Swiss Nanoscience Institute and the University of Basel’s Department of Physics. The Scientists did this by embedding graphene in the isolator boron nitride, placing it on a superconductor and then coupling it with a microwave resonator. The resonance frequency and quality factor of the resonator are both affected by the quantum capacitance and the electrical resistance of the graphene. These signals can be captured using superconducting resonators despite being extremely weak. The Scientists can determine both the quantum capacitance and electrical resistance by comparing the microwave characteristics of resonators with and without encapsulated graphene. These parameters are important in the determination of graphene’s exact properties and in the identification of limiting factors for its application. During the method’s development, the boron nitride-encapsulated graphene was used as a prototype material. Graphene added into other materials can be examined in the same manner. It is also possible to characterize other two-dimensional materials without the use of electrical contacts, for instance, the semiconductor molybdenum disulfide, which can be used in optics and solar cells.